Boggs is really easy. He does it for like $5 a card, or $10 a photo or ball. I've even read successes with large items. I sent two 8x10's in a SASE to his address, along with a $20 check to his charity All Children's Hospital in St. Pete. Received back in just 10 days! Very cool! Glad to see someone posting in the TTM section. I used to get a lot of autos TTM many years ago and stopped. It was a cool way to get autos from some you wouldn't see at shows. I used to do this as well, although I was cheap then, and it was just sports cards which I used. One downside to TTM is that the forums I've seen lately are subscription-based. Or the player takes 8 months to get it back to you. 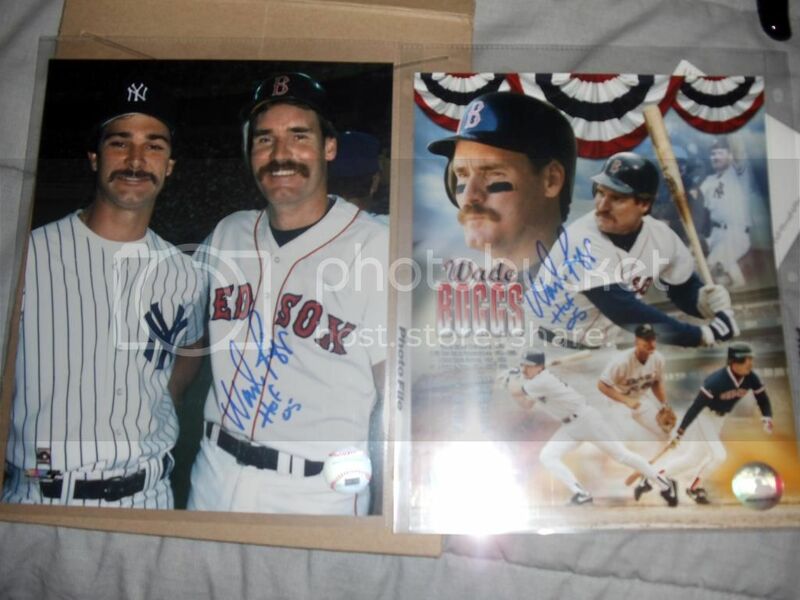 Also, many of my photos are often multi-person, and I'd never send a pre-signed item TTM like this.